Make the holidays festive and fun with Betty Boop! 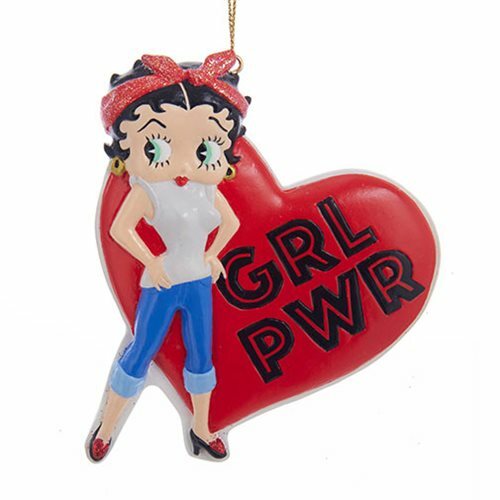 This ornament features Betty doing her best Rosie the Riveter impression with a red heart declaring "GRL PWR." Made of resin, it includes a golden hang string.